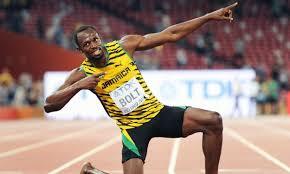 Usain Bolt is from a very simple and humble background. Be the first to tour Bolt’s country hometown, located in Falmouth area. Visit his childhood school, swim in the crystal clear river he once swam, pass by his home and the people who have known the world’s most esteemed athlete since he was a child. Bolt’s hometown also contains Jamaica’s largest cave, in which visitors can hike to and explore. The location of this tour is within close vicinity to Rafting on the Martha Brae. Guests are welcome to bring donations for Bolt’s primary school as well. This tour is available Monday-Fridays. This attraction is roughly a two hour drive from Negril. This attraction is roughly 45 minutes from Montego Bay. Recommended pickup time is 10 AM - 12 PM. Duration of tour: roughly 1-2 hours, not including transportation. Guests should bring comfortable sneakers or hiking boots, bathing suit, towel, sunscreen, hat and/or sunglasses, bug repellant, change of clothes, spending money for gratuities, souvenirs or donations. Should guests opt for the tour with hiking, we recommend not pairing this excursion with any other activities.